*Buy by 3/18/19. Fly by 5/9/19. Valid for nonstop domestic travel Mondays - Thursdays. The following blackout dates apply: Mar. 25, 28, 2019; and Apr. 18, 22, 23, 25, 29, 2019. 7 day advance purchase required. More about this offer. Tickets must be purchased by 11:59 pm Eastern time on Mar. 18, 2019 for nonstop domestic travel between specified markets, Mondays through Thursdays, through May. 9, 2019. The following blackout dates apply: Mar. 25, 28, 2019; Apr. 18, 22, 23, 25, 29 2019. A 7 day advance purchase applies. The 75% discount applies to base fare only, not to fees or taxes, and requires purchase at FlyFrontier.com using promo code 75PCT. 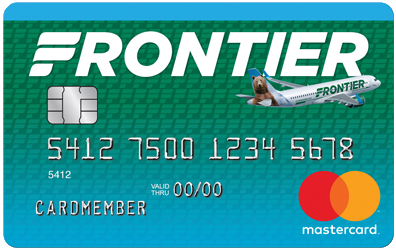 Promo code must be applied directly by customer on flyfrontier.com or requested of a Frontier Airlines Reservation Agent. Use of promo codes by third parties is expressly prohibited. All fare rules will apply. Certain flights and/or days of travel may be unavailable.